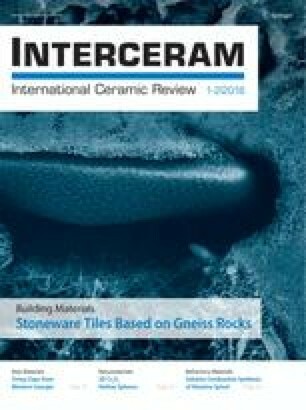 To address the problem of depleting reserves of raw materials for the manufacture of porcelain tiles a comparative analysis is made between two possible alternatives. The recycling of waste generated during tile manufacturing and the use of pyrophyllite in the composition were compared in relation to process parameters such as firing temperature and manifested properties such as linear shrinkage, porosity, bulk density and the sequence of sintering in a dilatometric study. It was found that the use of pyrophyllite in such systems is a better proposition. The conclusion was supported by microstructural and XRD phase analysis. The better ceramic properties in the pyrophyllite containing system are attributed to higher mullite formation at comparative firing temperature and a possible explanation for the same has been put forward. The use of pyrophyllite will open up an opportunity to utilize this non-conventional material in the commercial production of different porcelain products.